Vision is a crucial sense for everyone. The sudden loss of the ability to see means having to adjust to a new way of life, from recognizing loved ones and friends, to enjoying the outdoors, and enjoying leisure, the arts, and TV. For most people, it can mean the difference between the type of work they do and having to get a new job, or stopping work completely. The trial lawyers at Harris Lowry Manton LLP are recognized by the legal and Georgia communities for being at the top of our profession. We often advise other personal injury lawyers about legal strategies and tactics. Our Atlanta vision loss lawyers have some of the top verdicts and settlements in the state. We are skilled at much more than proving liability in catastrophic injury cases. Our lawyers also work with your eye doctors to explore any possible treatments and with eye care professionals to help patients get the best physical and emotional therapy for adjusting to a life without sight in one or both eyes. Construction work. Wood splinters at construction zones that are not properly marked can fly into the eye of workers or pedestrians. Staple guns can shoot a staple into someone’s cornea. Bright lasers can damage the retina or cause complete loss of vision. Vehicle crashes. When cars, trucks, or motorcycles collide, glass from the windshields, sides, or mirrors are likely to break off. Shards of flying glass can easily injure someone. A traumatic brain injury caused by the vehicle crash can also result in permanent loss of vision. Premises liability. Loose tiles, slippery floors, unclean sidewalks, and other disrepair can cause a customer to slip and fall, striking his or her head on the ground. Head trauma is a leading cause of vision loss. Product defects. Contact lens solutions and defective medications pose dangerous risks. Products that shatter due to improper design or faulty craftsmanship can injure a person’s sight forever. Airbags that malfunction can also affect a person’s eyesight. Medical malpractice. LASIK surgery and cataract surgery are meant to improve vision. Sadly, incompetent doctors sometimes make patients’ vision worse, or destroy it entirely. Some of the other ways blindness or loss of vision can occur are through excessive exposure to ultraviolet light, chemical burns, fires, and improper computer usage. In some cases, the damage to the eye is so significant, doctors are forced to remove it entirely. The loss of quality of life. We work with the victim, family, friends, and coworkers to detail each activity you cannot enjoy now that you could before the blindness or loss of vision occurred. All medical treatments and surgeries. Sometimes there are surgeries that help repair or restore a person’s vision. For example, a lens transplant may be possible for some patients. Pain and suffering. Any daily physical residual pain the eyesight loss may cause. Disfigurement. In cases of head trauma or explosions, the accident victim’s face or head may be scarred or disfigured along with the damage to the eye. Psychological counseling. Georgia injury victims who lose their vision often need extensive emotional therapy in order to be able to cope and adjust to a life without sight. Rehabilitative therapy. 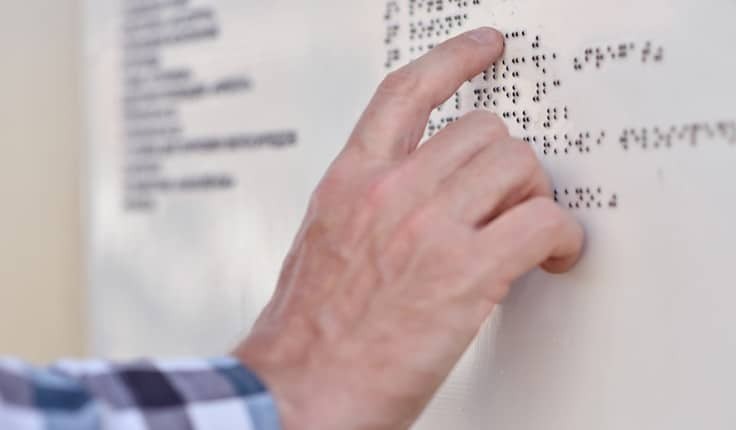 Anyone who loses his or her vision has to be trained to rely on other senses in new ways, to read in Braille, to work with a seeing-eye dog, and to learn other skills so they can manage both life and career. Lost income. Many accident victims who become blind or lose the functional ability to see can never work again. Others who can work often need additional assistance, such as public transportation, that can cost a lot of money. Victims who can return to work often work for less money than they did before the accident. Each client is different. We review each challenge and frustration the individual accident victim has. Get help for yourself or a relative, coworker, or friend who suffers the loss of sight through the fault or neglect of another. Learn that you, or a loved one, have legal rights. You do not have to rely on just trying to get Social Security disability or governmental relief. If someone or some business caused a catastrophic injury, HLM’s Atlanta and Savannah vision loss attorneys have the experience and tenacity to help. For strong advocacy, please phone our Atlanta office at 404-998-8847 or our Savannah office at 912-417-3774. You can also fill out our contact form to schedule a free initial appointment.